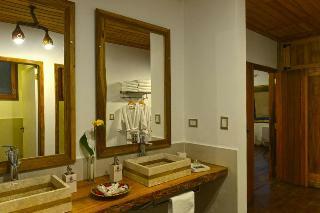 The Hotel is Built With Materials Made by Local and Regional Manpower. It Has a Lounge With Terraces and a View of the Rainforest. It is Fully Equipped For Special Events and Dinner Parties and Comes With Conference Facilities, in Addition To Wireless Internet Access and a Bar At the Edge of the Swimming Pool. With a Total of 20 Guest Rooms On Offer, the Air-Conditioned Establishment Welcomes Guests in a Lobby With 24-Hour Reception and Check-Out Service. Further Facilities Include a Hotel Safe, Currency Exchange Facilities, a Caf??? ?, a Restaurant, Room and Laundry Services and a Car Park.